Տեսնել ավելին . . .
ՄԻԵԴը մերժել էր Կառավարության բոլոր պնդումներն այն մասին, որ 2008թ․ի մարտի 1ի վաղ առավոտյան հավաքն Ազատության հրապարակում խաղաղ չի եղել։ Այն արձանագրել է, որ այդ հավաքի խաղաղ բնույթը հերքող որեւէ ապացույց Կառավարության կողմից ներկայացված չի եղել։ Եւ, հետեւելով Սաղաթելյանն ընդդեմ Հայաստանի գործով զարգացրած իր դիրքորոշմանը, եզրահանգե 25 ապրիլ, 2019 09:34 Никол Пашинян: "Мы предлагаем Азербайджану повестку мира, а не повестку войны" В Армении год назад в результате событий, получивших название «бархатная революция», сменилась власть. Премьер-министром – первым лицом республики – стал оппозиционер Никол Пашинян. Что изменилось в стране за этот год, об основных вызовах, стоящих перед Арменией, об отошениях Еревана с соседями и центрами мировой политики Никол ПАШИНЯН рассказывает в эксклюзивном интервью обозревателю «Независимой газеты» Юрию СИМОНЯНУ. 24 April, 2019 15:10 Israel’s Refusal to Recognize the Armenian Genocide Is Shameful and Immoral Walking atop Tsitsernakaberd Hill overlooking the Armenian capital of Yerevan, one can see the striking similarities to Jerusalem. The view resembles that from Yad Vashem, the main Israeli memorial site that honors and commemorates the 6 million Jews who perished in the Holocaust. 22 April, 2019 15:32 Assyrians in Armenia Verin Dvin, a village not too far from Armenia’s capital Yerevan, is home to the largest community of Assyrians in the country. Assyrians are the third largest minority in Armenia. They are descendants of the Assyrians who used to live in Iran, and moved to Armenia during the Russian-Persian War at the beginning of the nineteenth century. 22 April, 2019 11:59 Love (or hate?) thy donor Not wanting to be the “messenger of bad news” or bayghoush as the popular folklore calls it down here in Armenia, but I cannot stop thinking “Who’s next?”. I do not want to focus on the “Who’s next?” question though. Rather, I would like to rhetorically ask the “What’s next?” question. How are these developments affecting Armenia’s investment climate and international reputation among investors and donors? Donors. Let’s just stop for a moment on that word. 14 April, 2019 08:43 Ladies and Gentlemen: Please Drop The “Revolution” Brand Yes, the revolution or change of government (people like to call it in different names down here) gave many Armenians globally hope, unity, a fresh start and a glimpse of a better future. Few will argue the opposite. It is time though to get over it and figure out how we want to bring in businesses, investments and jobs. Bring the real glory home. 2 April, 2019 11:29 Nagorno Karabakh: No Breakthrough, But a Serious Talk About Peace CivilNet’s Tatul Hakobyan was part of reporters’ pool accompanying Armenia’s Prime-minister Nikol Pashinyan at a meeting with Azerbaijani President Ilham Aliyev in Vienna, March 29. Tatul Hakobyan’s article was published on Jam-news.net. 1 April, 2019 00:13 Arts and Culture: Causes Worth Fighting For Many people are outraged with this decision, also thanks to the acting minister not being the most popular one among her peers. I am not going to zoom-in through to the widely discussed accusations and allegations of the person (who has to do everything she can to uphold Armenian culture) not being in the right place. No, I’m not going to do that. I am also not going to count more than a dozen ways in which she could have handled the matter in an appropriate way. Instead, I would like to focus on the role that government and its officials should play to cherish and advance Armenian culture. 31 March, 2019 10:05 The Revolution Need Not Be Automated For centuries after the Industrial Revolution, automation did not hinder wage and employment growth, because it was accompanied by new technologies geared toward maintaining the role of human labor in value creation. But in the era of artificial intelligence, it will be up to policymakers to ensure that the pattern continues. Artificial intelligence is transforming every aspect of our lives, not least the economy. As a general-purpose technology, AI’s applications are potentially endless. While it can be used to automate tasks previously performed by people, it can also make human labor more productive, thereby increasing labor demand. 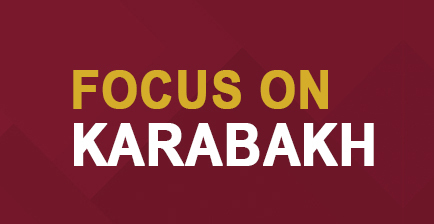 30 March, 2019 14:50 PoliTalks with Vahram Ter-Matevosyan An interview between PolitTalks host Eric Hacopian and professor Vahram Ter-Matevosyan about the upcoming Turkish election, and political developments in Turkey both current and historical. 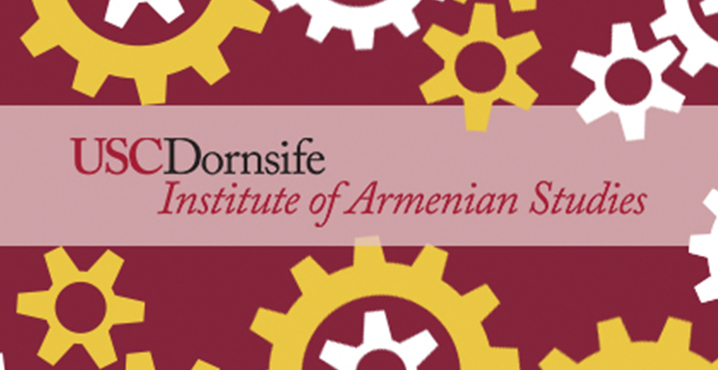 Follow The USC INSTITUTE OF ARMENIAN STUDIES on YouTube to watch scholars and thought leaders explore topics that matter.